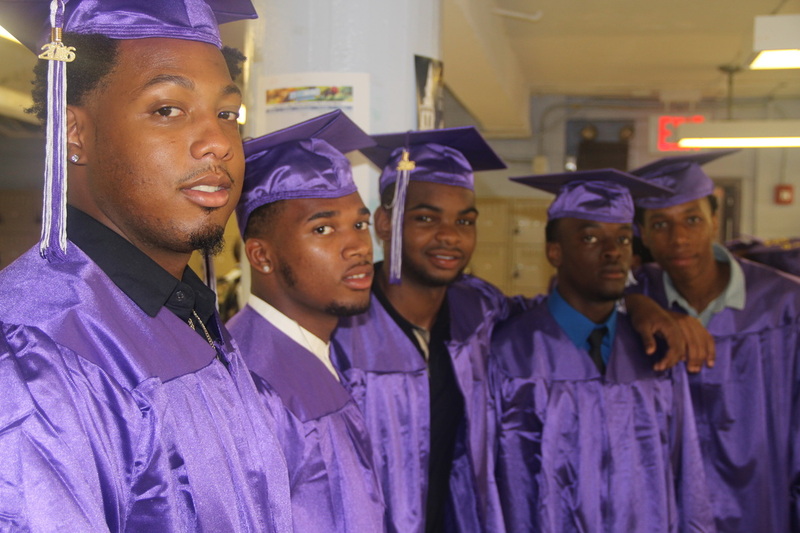 Diploma Plus high schools and programs across the U.S. predominantly serve urban youth who are Latino or African-American. Diploma Plus’ population is students who are off-track to graduate with their peers and many have dropped out before. Many of these young people come from families in poverty or with little or no college experience. Diploma Plus youth tend to be on the unfortunate side of four persistent gaps: achievement in literacy, numeracy, and content areas; high school graduation; successful post-secondary pursuits; and access to, and ability to use, current technologies. Diploma Plus designs schools to improve academic results in sub-populations of underserved students by immersing them in a competency-based learning environment. What is a Student's Experience at a Diploma Plus School? In a Diploma Plus school, students experience anytime/anywhere rigorous learning opportunities that emphasize performance-based promotion. Students are placed into and promoted through three distinct DP Phases that allow them to learn content and skills at personally appropriate levels. An Individualized Learning Plan is created for each student that defines expectations and goals; guide students to become active participants in evaluating their own learning; and identifying choices. Students work collaboratively, solve meaningful and challenging problems, apply competencies to demonstrate their depth of content knowledge and skills, and design authentic products that mirror real world settings. Via a portfolio system, students show what they know and understand in core study areas. Students' portfolio are a living document designed to engage reflection of learning, to demonstrate progress, and to show academic growth. Every student participates in an internship that exposes them to real world employment situations and are engaged in community awareness and exploration. There is student representation within school governance; a student advisory board; and opportunities for students to give input in school decisions.